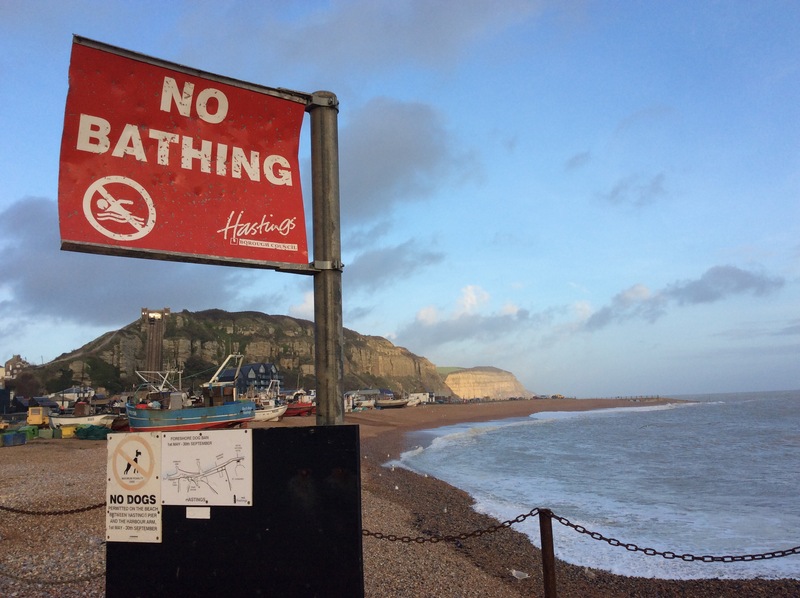 On New Year’s Day, precisely 3 weeks today, the 1st of the bright 2016 Year falling on a Friday, hearty Hastings folk like to take a New Year sea dip (this is when I show my London side and profusely refuse to remove even a sock). All in good faith and despite the sign below, bathing takes place, money is raised, and a donation to the ‘Lifeboats’ (RNLI) charity is given. Everyone makes a brief, but splendidly supportive effort, a swig of whisky is included, warm towels lie in wait and enthusiastic cheers abound.